From the outside, NASCAR is seen as the most patriotic sport in the United States of America. From the inside, the same notion passes to Jennifer Cobb Racing. That will be sure to continue in the Texas Roadhouse 200 at Martinsville Speedway when the Camping World Truck Series team will give U.S. Marine Corps. Veteran Josh White a shot at his first NASCAR start at the legendary half-mile track. 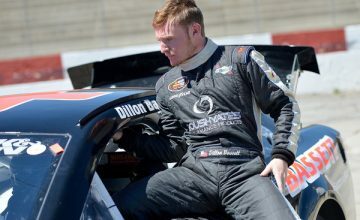 Attempting to field the first Marine to qualify for a national NASCAR start, Cobb says it is important to have drivers of all backgrounds in the sport of NASCAR. “So many racecar drivers began racing when they were children,” Cobb told Rubbings Racing. “The majority of big-league NASCAR drivers today were bred to be in the sport. I think it is important for drivers of all backgrounds to represent the sport. I would never want someone to feel as if it were too late for him or her to pursue a racing career – that means focusing on the military or even on college can come first. Led by Cobb, the Truck Series team may not yet have the equipment necessary to win races, but they continue to showcase their patriotism by supporting Driven2Honor.org, a non-profit corporation founded by Cobb in 2011. Putting 25-year-old White in the No. 10 Chevrolet, Cobb understands the difficulties that will face the rookie when he makes his first laps on the Virginian track. “It will be important for Josh to show improvement throughout practice and qualifying without making too many mistakes,” she said. 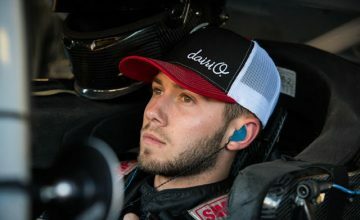 “If he spins out, I will be sure to tell him that every rookie driver I have brought to Martinsville does it and I do it every other time I’m on that track. Cobb, with 130 series starts, including eight at Martinsville, will be coaching White throughout the weekend. 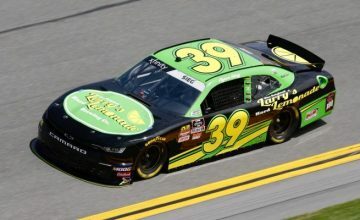 With four or more drivers failing to qualify for the last three Martinsville races, Cobb says there will be a further opportunity for White even if he fails to make the show.